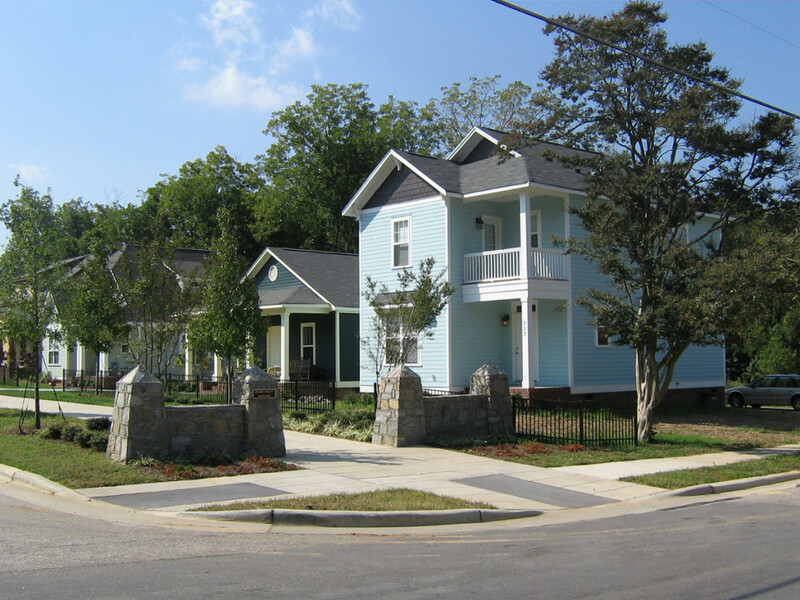 Many of the houses in the Idlewild neighborhood in east downtown Raleigh, NC, had been identified by the City as substandard and in need of substantial repair or replacement. 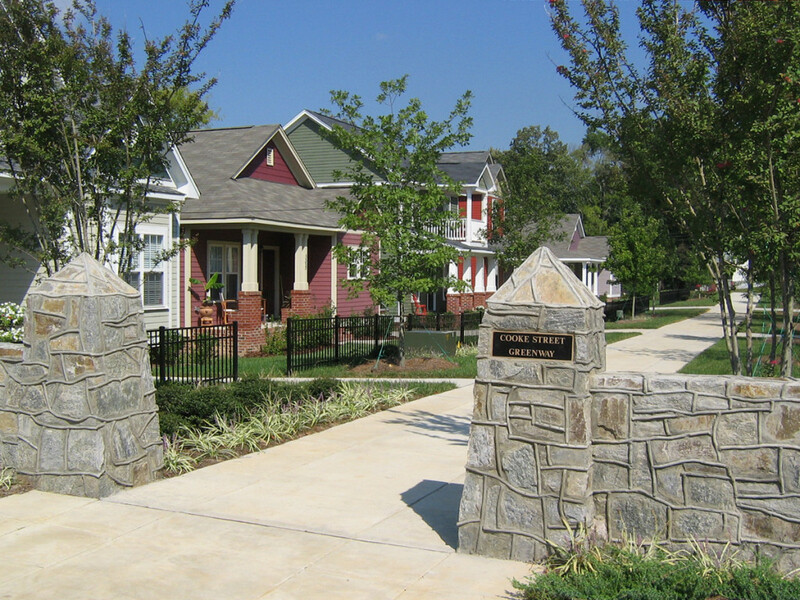 Based on neighborhood input, a concept for Cooke Street was created which called for a greenway and water feature along the street with new single-family homes behind the greenway. HagerSmith Design conducted a site analysis which determined that the proposed greenway was financially unfeasible. 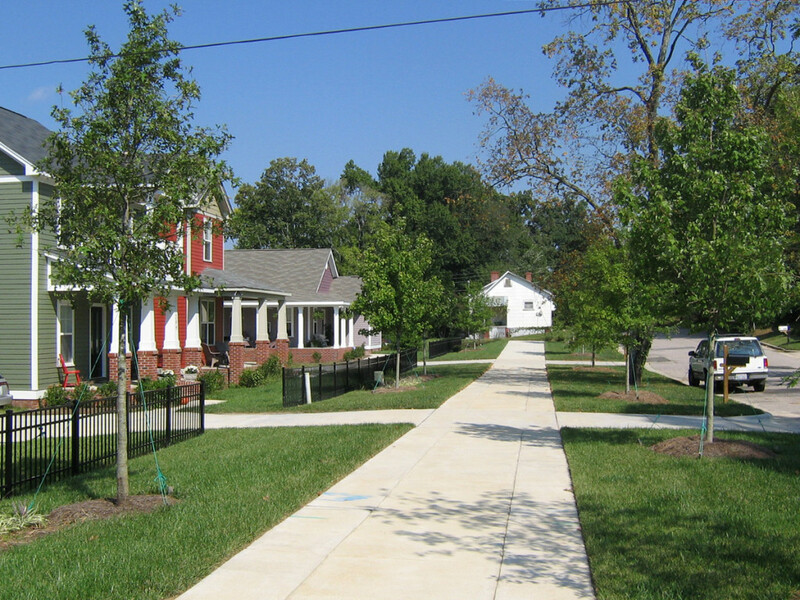 A new plan was developed under the idea of an urban greenway. The new scheme called for a 30’ wide greenway with an 8’ sidewalk along the west side of Cooke Street in place of the existing 5’ grass shoulder with no sidewalk. Where the walk intersected with a cross street, a special stone wall entry feature was added.